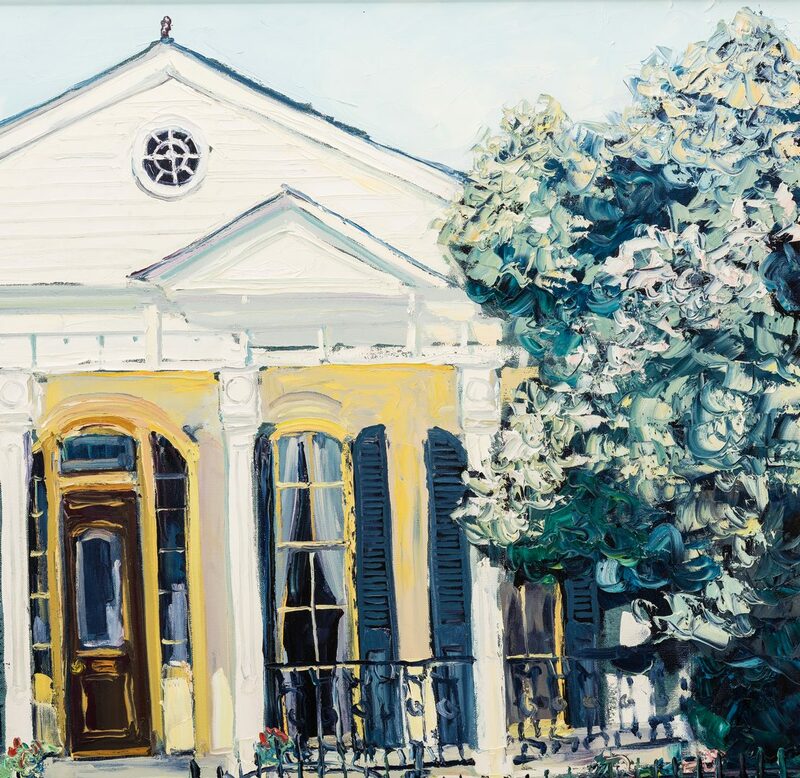 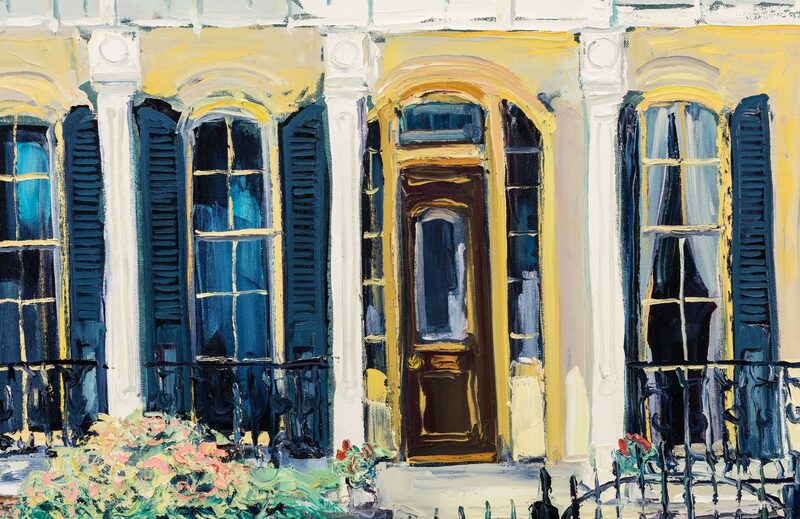 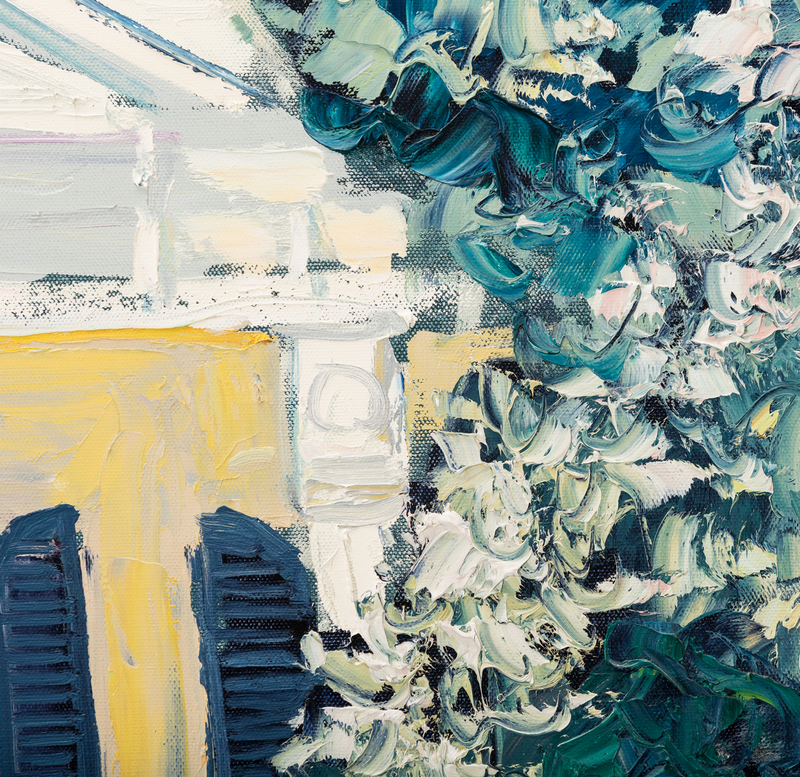 Lot 101: James Michalopoulos Oil, "Pristine at Prytania"
You are here: Home >> January 27, 2018 Historic Winter Auction >> Lot 101: James Michalopoulos Oil, "Pristine at Prytania"
James ("Mitchell") Michalopoulos (American/Louisiana, b. 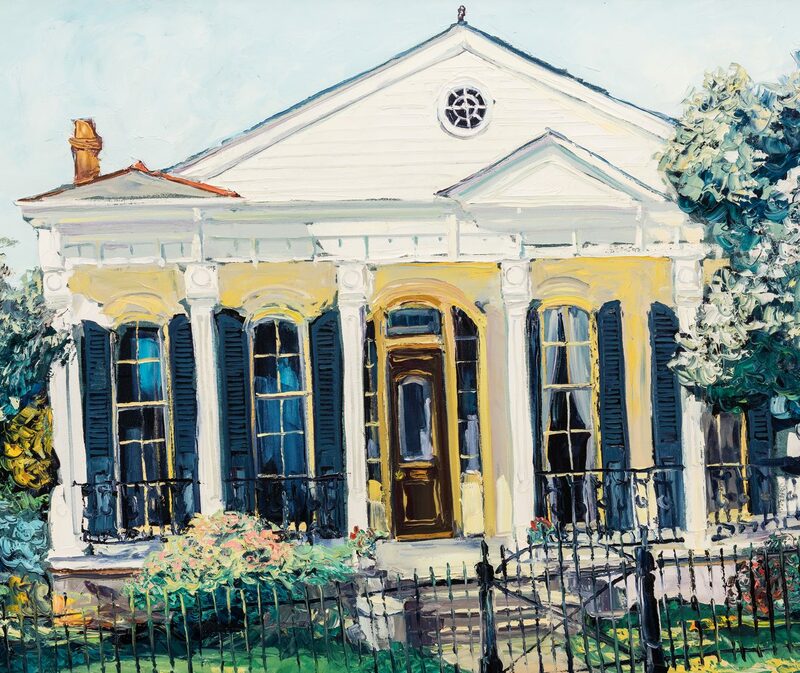 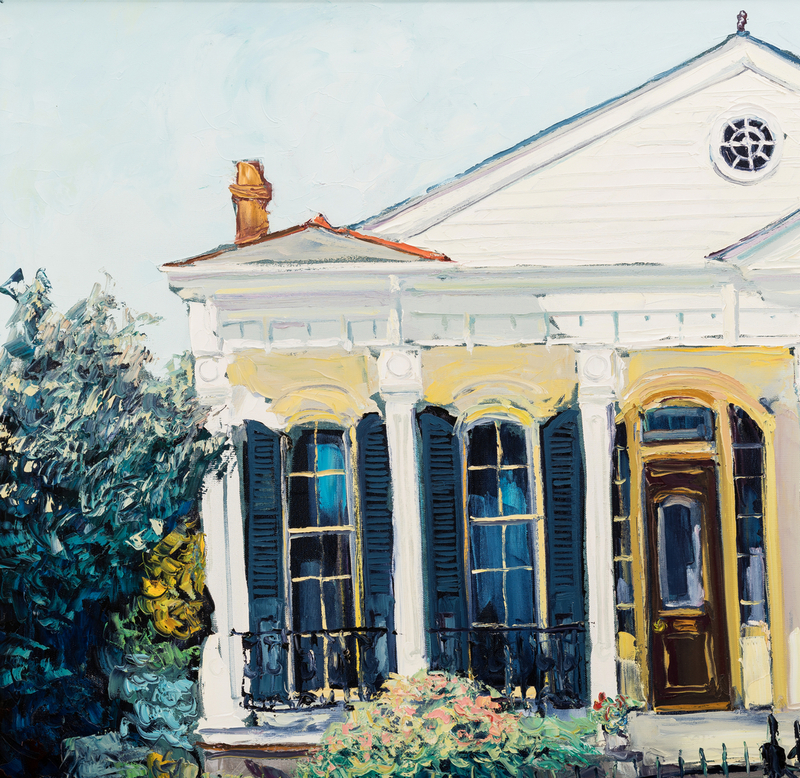 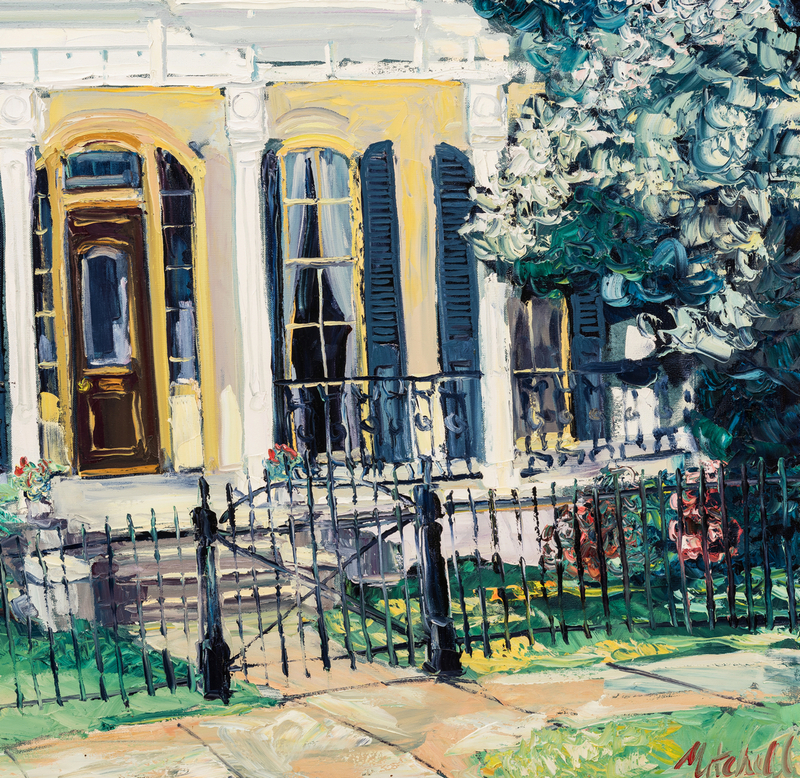 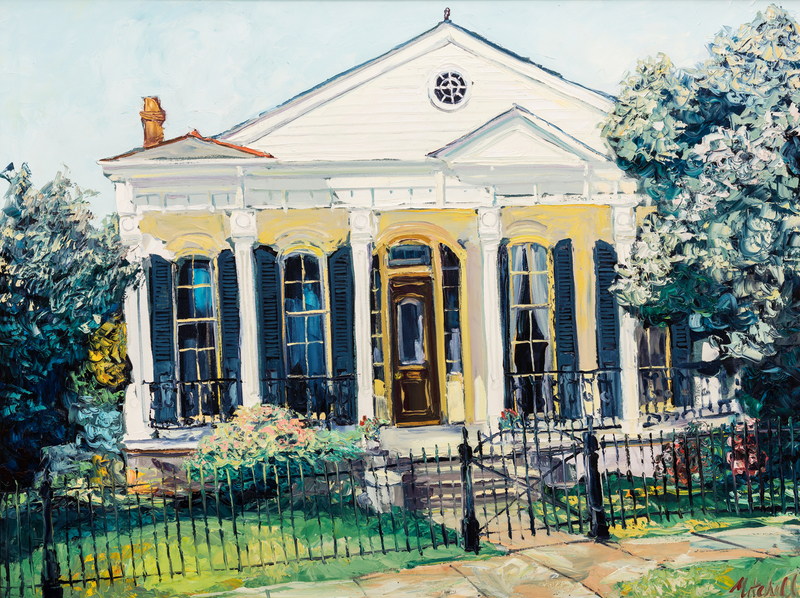 1951), oil on canvas landscape painting depicting a traditional New Orleans style house with large front windows, a porch with wrought iron rails and a wrought iron fence. 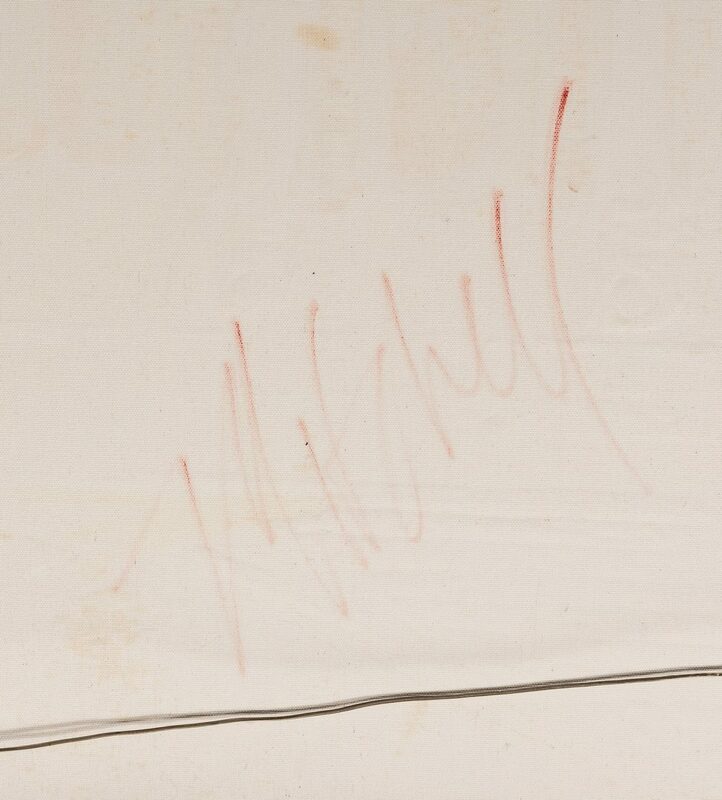 Signed lower right in red "Mitchell". 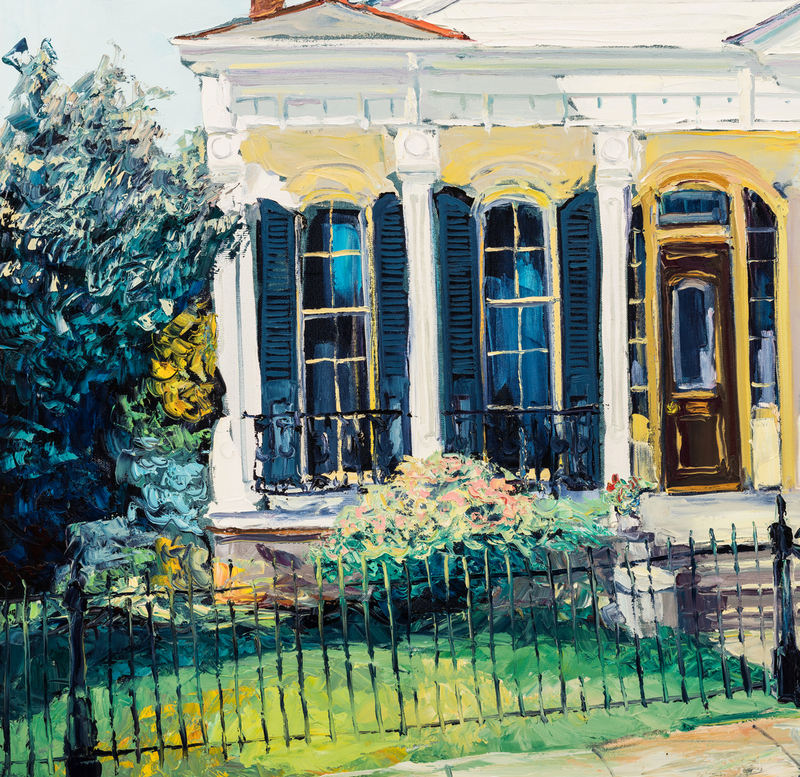 Titled en verso "Pristine At Prytania" on stretcher and additionally signed. 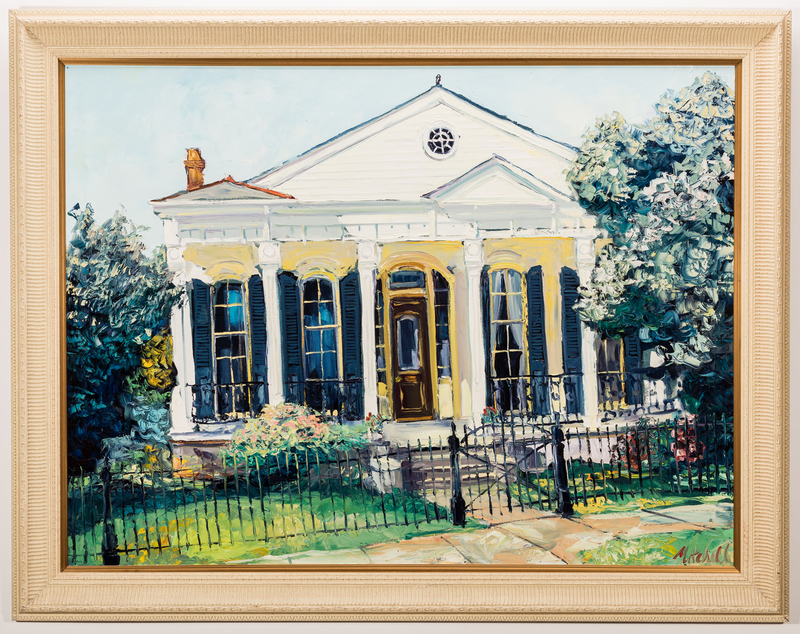 Housed in a contemporary carved and painted wood frame. Sight – 35 1/2" H x 47 3/8" W. Framed – 43 1/2" H x 55 1/2" W. CONDITION: Overall very good condition. 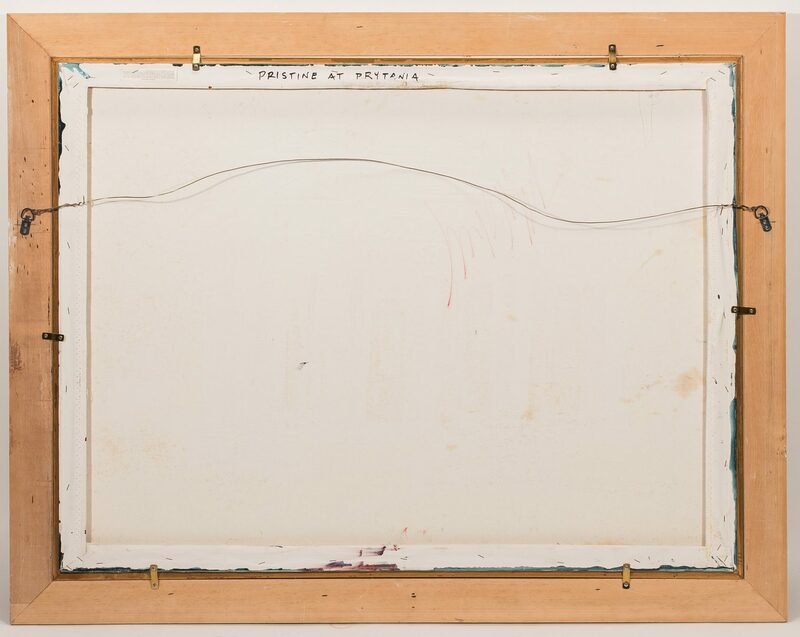 No inpainting or alterations detected under black light.